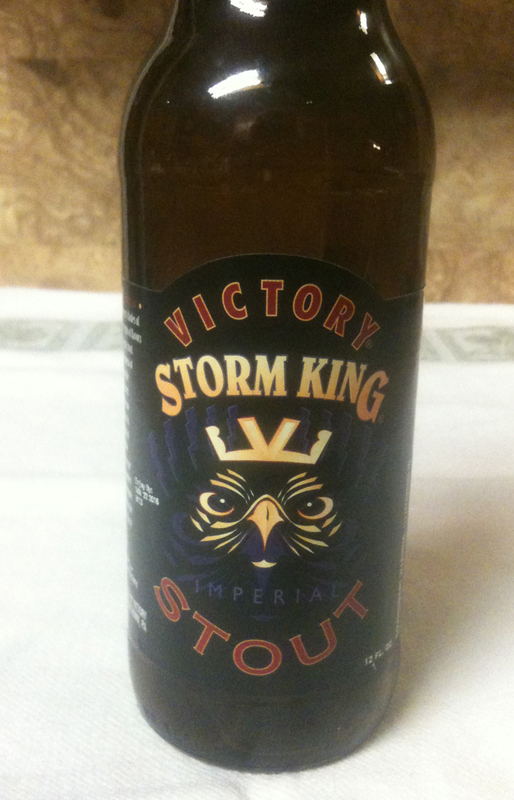 Keeping things rolling with some serious stouts - tonight is a Storm King Imperial Stout from Victory Brewing Company. The twelve ounce bottle shows 9.1% ABV. 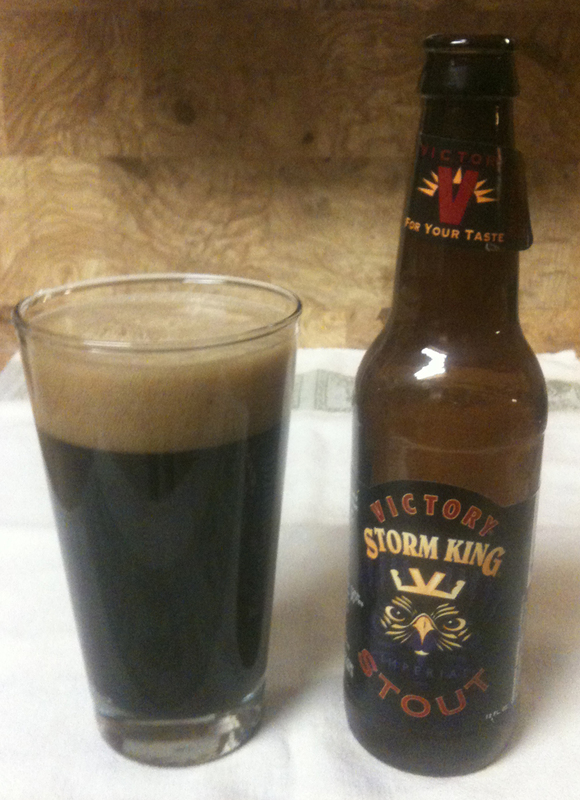 The Storm King poured with a thick, very brown head. The color is so dark, it is hard not to call it black. The aroma is somewhat high-alcohol, with hops, and hints of coffee and chocolate. The flavor strength is not over the top - maybe a strong medium. It has a nice balance of hops and malt, with a little more emphasis on hops than one might expect. Not as 'heavy' as some other hearty stouts. Definitely higher-alcohol, and it warms you up going down. Slightly bitter aftertaste.